“An army marches on its stomach,” observed a general of ancient Earth. He was right to do so. As malnourishment kicks in, the fighting effectiveness of men and women degrades rapidly. GX-Cannons, field railguns, force-shield projectors: modern soldiers command fearsome weaponry but none of it is worth a damn to a unit wiped out by starvation. The ancients understood the importance and difficulty in supplying food to their armies, and they never even had to move their forces off planet. 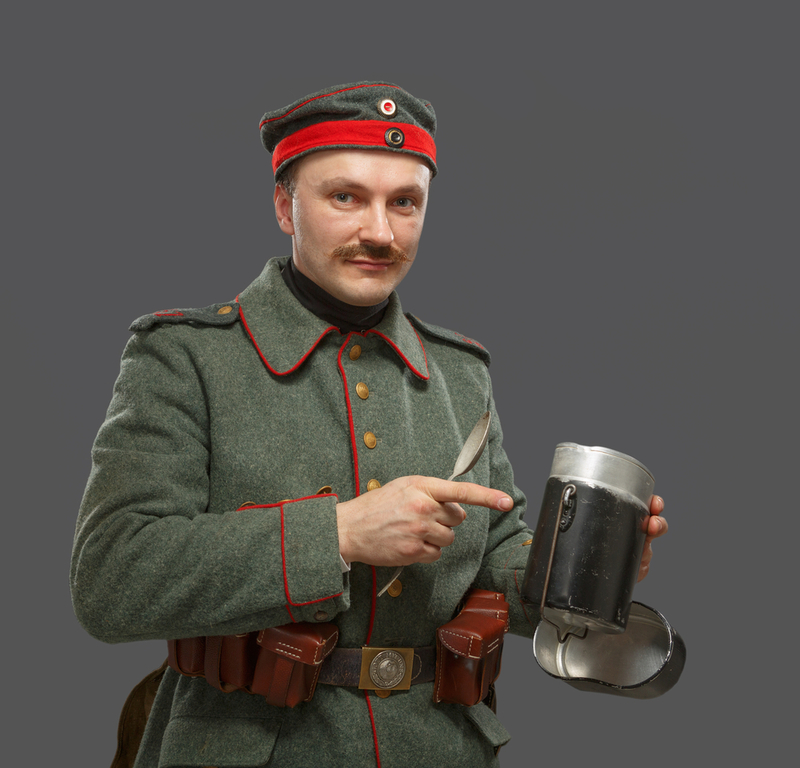 Modern armies have supply lines running into the tens of light years, a transit time measured in decades. Resupply from a distant source is a theoretical possibility, but a logistical improbability. Supply lines would be so fragile, and so easily severed, that most military fatalities would be attributed to starvation. Many Ancient Earth armies lived off the land around them. If we are to field sizable armies, then the Human Legion must do the same. We must eat the food produced on alien worlds. But how? This is not a new problem. Neither is it one unique to humans. Our former masters, the White Knights, provide an answer. To understand the solution, let us temporarily ignore the vast array of logistical difficulties and get back to some basic facts of life, starting with plants. Plants can be viewed as self-replicating processing factories. They transform inputs (principally soil nutrients, moisture, and radiation from the sun) and transform them into the structures needed by this self-replicating organism (roots, stems, reproductive and defensive organs). Animals are simply mobile versions of these processing factories that predate on plants and other animals. Animals secrete enzymes to break down the meat and plant matter they consume into simpler and smaller substances, which are absorbed and then used by the animal to grow or repair its own structures. Breaking down larger molecules into smaller ones that can be absorbed – that what we call digestion. There are many human-compatible worlds with abundant water, and with Earth-like atmosphere, solar radiation and a planetary crust rich in the same elements as Earth. The route taken by evolution in these worlds often appears wildly different, and yet the problems faced by native lifeforms are essentially the same across all these worlds. So too (for the most part) are life’s solutions. Yes, we are simplifying by conveniently ignoring the many species that do not fit the description we’ve just given (of which there are many, even on Earth). Nonetheless, within the practical context of how we might feed humans using food obtained on other planets, this view of plants and animals as self-replicating processing factories is a good approximation of a universal truth: Earth-like planets are rich with Earth-like plants. These have stems, roots and leaves that are consumed by insects and other animals with recognizable mouth parts, digestive tracts, limbs and eyes. The only unique characteristics of Earth plants are flowers (which are only found on Earth) and chlorophyll. 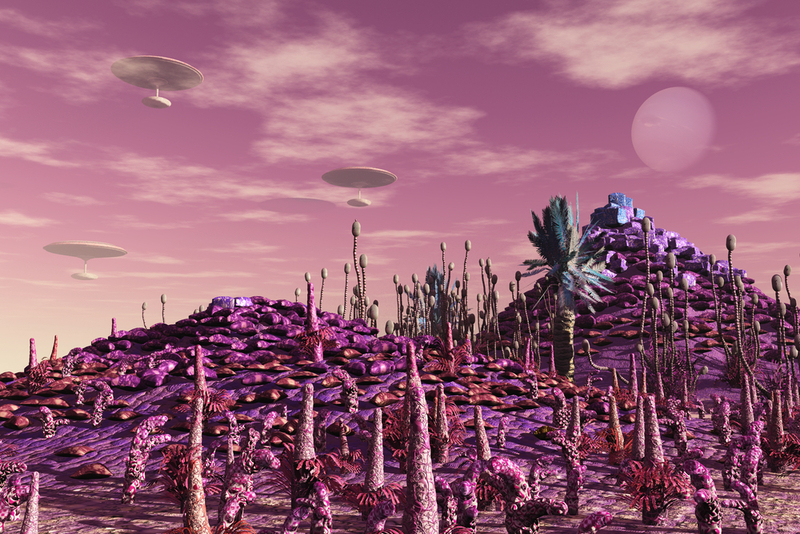 Alien plants have chlorophyll analogs, but while chlorophyll is responsible for the greenness of Earthly vegetation, xeno-vegetation tends to be dark purple, a color more efficient for extracting energy from sunlight. The great purple swathes of alien prairie and forests must appear strange to Earth natives, but the difference is visual not nutritional. Of far more importance is that humans lack the enzymes necessary to break down xeno-vegetation. Let’s imagine we transported a natural Earth-born human to, say, Yarius-3. She would see purple plants with recognizable features such as leaves, berries, and even legume pods. But if she cooked and ate Yarian vegetables she might just as well eat the alien soil the plant grew in: it would be just as digestible and have essentially the same composition. The solution for our human traveler is to provide her with the correct enzymes, the same enzymes that the animals of Yarius-3 use to digest their local vegetation. For a start, enzyme effectiveness is sensitive to acidity, temperature, and the order in which the enzymes are applied to ingested food. For example a natural human has an acid-filled digestive organ (the stomach) for acid-loving enzymes, and then an alkaline one (small intestine) for enzymes more suited to alkaline environments. A grain-eating insect typically has several acidic digestive organs using a different range of enzymes from the human, and operating its digestive system at a cooler temperature. For our unfortunate natural-born human on Yarius-3, the adaptations required to provide her with the correct enzymes and the digestive organs to support those enzymes would be so extensive that if she ever returned home, she would be regarded as a cyborg, scarcely more human than those unfortunate souls with sealed up noses and mouths who ‘breathe’ vacuum for the benefit of off-planet mining organizations. The solution is Universal food. Marines have been steadily adapted to accept augmentations and adaptations. Basically, we’ve been rewired with a few components swapped for uprated replacements. Night vision — that’s a good one. It just works. It’s obvious what it’s for and it’s obvious when it turns itself on. (Though it would be even better if there was a way to turn it off — watch a flashbomb go off at night if you don’t know why). No one knows all the changes wrought on our bodies at the behest of the White Knights. We suspect even the White Knights don’t. Many are hidden and some are stepping stones to a longer-term objective. Such as the Universal Food system. 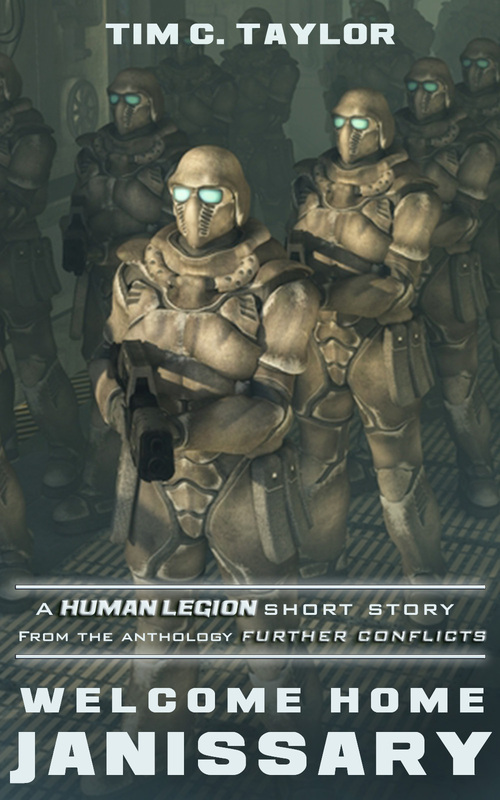 Human Marines are pre-programmed with a library of enzymes suitable for digesting a standard set of foodstuffs that are farmed throughout the White Knight Empire. This standard set is known as Universal Foods. Marines will often call them Ugly Foods, probably because of the contorted grimaces worn by the poor unfortunates forced to eat them. They might taste terrible our digestive organs have been reworked to provide conditions suitable for these alien enzymes to work reasonably effectively. If you’ve ever sat in a bunker with Marines fed on Ugly Food, you know firsthand what reasonably effective means. Bloat and wind are the polite terms. Volunteering for a combat patrol under the guns of the enemy is a blessed relief from the revolting miasma fugging your bunker. Ugly food keeps you alive but tastes like drent.If only good Earth food could make it to the Ugly Food list. No joy, there, though. Earth cereal crops have been bred so far from their wild forbears that their requirements are too specialized to make a good Ugly Food (though they can be grown in alien soil if carefully cultivated). The only Earth foods to make it into the Universal Food system are pigs and cockroaches. The staple meal of Marines on campaign is pork and roach sausages served with Ugly paste. It’s not all one-way, of course. The Universal Food system is designed so all allied species can eat from the same limited food list. Which means alien digestive systems have been adapted to eat bacon rashers and the humble Earth cockroach. In fact pigs are so successful that they have already spread to more star systems than humans. If you sometimes think the galaxy is a little unhinged, you aren’t the only one.